Engine Swaps by Sinister Performance, LLC. Why do an engine swap? One of the biggest performance improvements that can be made to a vehicle can be done by swapping in a more powerful engine. In most cases, an engine swap is less expensive and has more advantages compared to just upgrading components in or on your stock engine. Another bonus is that most emissions laws do allow engine swaps so long as the stock emissions systems and configurations of these swapped engines are retained from the donor vehicle. 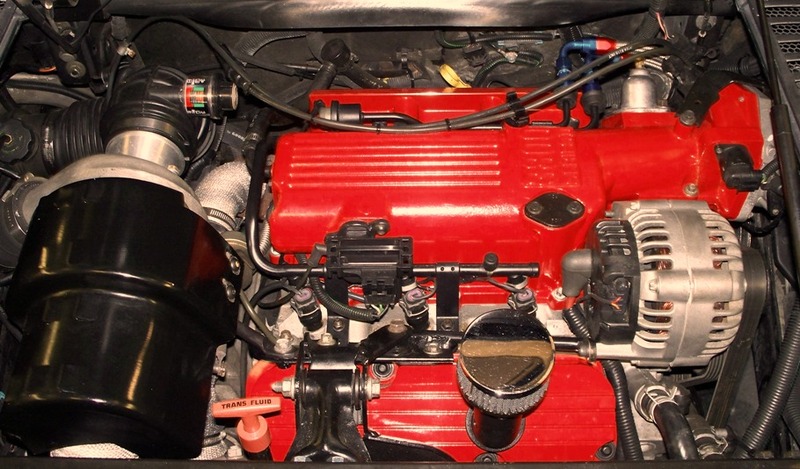 One of the most popular engine swap candidates is the Pontiac Fiero. 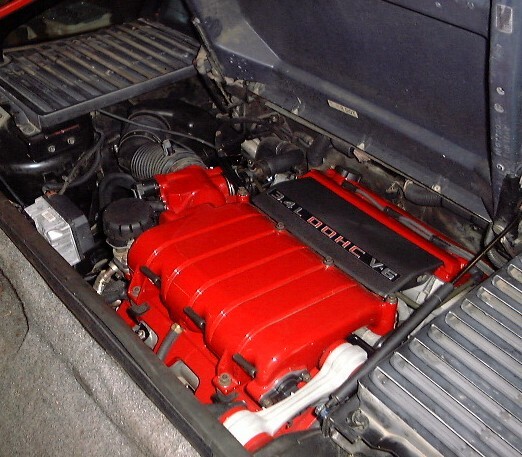 These vehicles came stock with either a wimpy 90hp 2.5L 4-cylinder engine, or an anemic 140hp 2.8L pushrod V6. 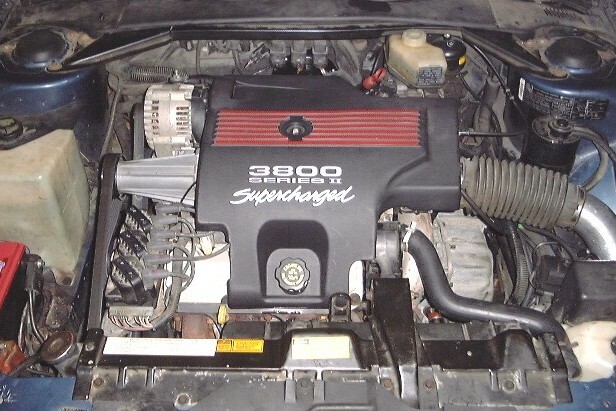 Some of the more popular engines that are available to swap into a Fiero are the 3800 Series II Supercharged V6, the 3.4L DOHC V6, the Quad-4 DOHC inline 4-cylinder, and even the small block Chevrolet V8. While any one of these engines offer a good performance improvement compared to stock, all have their advantages and disadvantages and the choice is ultimately left up to you, the customer. Other engines that can be considered are the 3400 OHV V6, Northstar V8, Cadillac 4.9L V8, FWD 5.3L DoD LS4 V8, and many others. Don't have a Fiero? Don't worry. 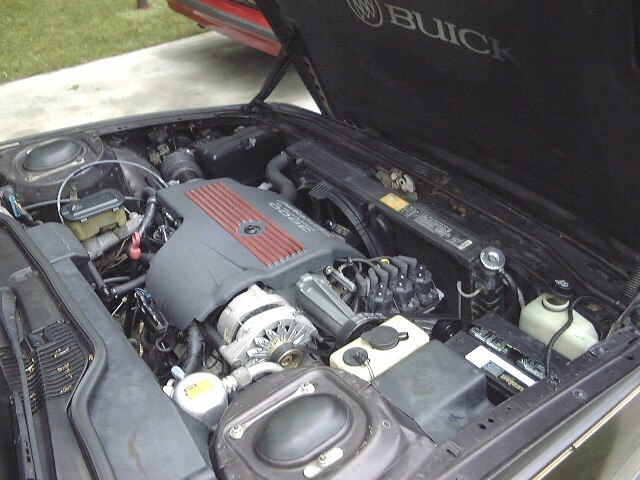 We have done engine swaps on may other vehicles too; like a 165hp 3800 V6 swap into an 88 Grand Am or a 240hp 3800 Series II Supercharged engine into an 88 Buick Park Avenue and 92 Chevy Lumina Euro. 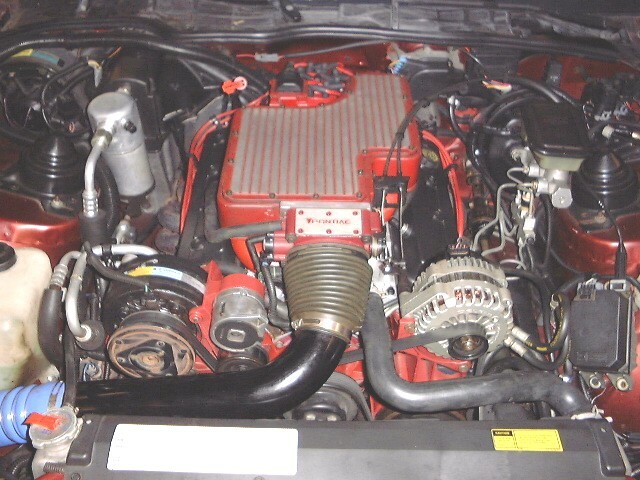 We have also replaced a 2.8L TBI V6 engine in a 87 S10 with a 175hp 4.3L V6 and 4L60-E out of a 1994 GMC Sonoma as well as installed a completely custom built 350 TPI L98 engine with 4L60-E trans into a 1986 Chevy Monte Carlo. The possibilities are endless, and we welcome the challenge of new possible combinations! Let us know what you have in mind and we will do our best to find a way to make it work. 99% of all fabrication is done in-house, unless otherwise required/specified by the customer. We only offer swaps at the highest level of quality and reliability. However, we understand that some of our customers are restricted by a budget so we do offer different levels of options and performance enhancements, depending on how much you want to spend. Don't need an engine swap but want to improve performance? We can do that too. We can perform nearly any performance upgrade you require to your existing powertrain. Headers, cam, head porting, transmission upgrade, suspension upgrade, custom exhaust or induction, etc; We can perform any of these to meet your needs. Mobile Air Conditioning Society (MACS) Certification in CFC-12 refrigerant recycling and service procedures as required by Section 609 of the Clean Air Act. In addition to these certifications, Ryan also has vast personal experience pertaining to performance improvements to automobiles dating back to the early 90's. What does all of this mean to you? Time and experience has taught Ryan the value of quality workmanship and honesty. He knows that every job he does has his name on it, and he knows that his reputation will play a very important part of the future of his company, Sinister Performance. Above all, it is our intention to maintain the quality and personal service that our customers deserve. Our shop facilities are located on the south side of Fort Wayne, Indiana. Clients have brought their cars from all corners of the U.S. and also from Canada, so we are no stranger to working on projects that will be used in all types of climates. If you are interested in our services, please contact us directly using this email. Unlike many other companies, we check our email nearly every business day (with few exceptions).